One AI to beat them all. Google’s Go-playing artificial intelligence (AI) continues its winning streak at this week’s Future of Go Summit, happening in the historic town of Wuzhen, China. The AI ,developed by Google’s DeepMind, beat a team made up of five of the best human Go players in the world, proving that it can go head-to-head with not one, but multiple professional players. Teams were matched for demo games at Google’s event on Friday. The first match of the day paired AlphaGo with a human player. Two human/AlphaGo teams battled it out, with one pair forcing the other into forfeiting the match. Who said AI can’t work together with humans? Prior to today’s matches, AlphaGo also dueled with the world’s top Go player Ke Jie for a second time. But, just like Tuesday’s first match, Google’s AI proved to be a better match than humanity’s best Go player. A third and final match occurred on Saturday. Instead of seeing human players under stress in a traditional all-human match, commentators noticed that the professional players rather enjoyed observing and studying AlphaGo’s moves. 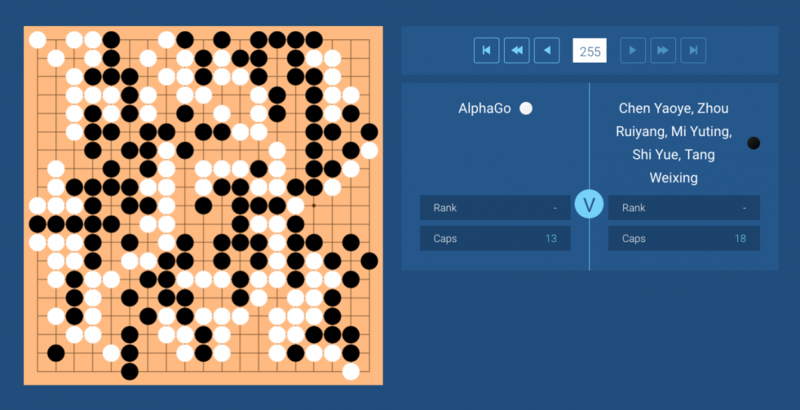 Without that human competition element, the human players acted differently, some even learned to adapt their play style to follow AlphaGo’s moves. Apart from the professional Go players, the summit is also attended by a number of AI experts keen on learning about the problem-solving potential of this AI — this basis in problem-solving is what playing Go is really about. At the very least, seeing how AI can work hand-in-hand with human beings is promising and informative, at least as far as playing Go is concerned.